Bone health is becoming an increasing concern. As you age, the bone structures that have been formed in the first few decades of life, begin to deteriorate. 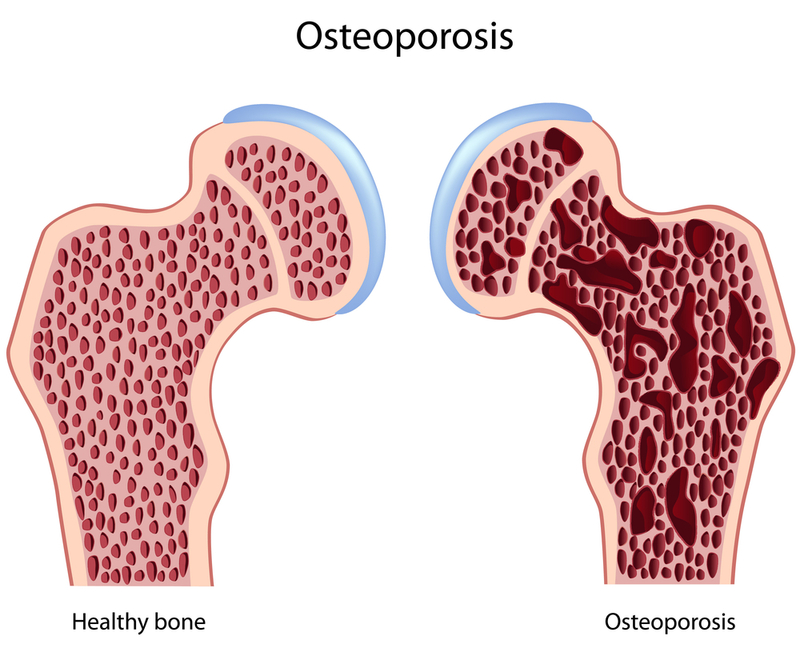 This leads to osteopenia and eventually, to osteoporosis, which are conditions characterized by a reduction in bone quality and quantity. The consequence is increased risk of fractures which has brought many seniors to the point of staying indoors due to fear of falling. However, aging is not synonymous with osteoporosis. If you take care of your health, you can keep your bones strong and resilient and enjoy wellbeing as you age. Despite common belief, reduced bone mass is not solely due to lack of calcium. Though calcium plays a crucial role in bone formation, other minerals such as boron, copper, zinc, magnesium form bone matrix along with collagen. 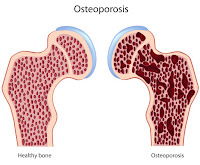 The underlying factor in osteoporosis is mineral deficiency - a concern that is growing in the young population. Mineral deficiency is not only linked to osteoporosis - it can predispose individuals to cancer, autoimmune conditions, cardiovascular disease and other serious health conditions if it is left unaddressed. Causes of mineral deficiency are broad-spectrum, ranging from inadequate nutrients in the diet, to poor digestion & assimilation, and to environmental factors such as toxic heavy metals. Diet: Emphasize alkaline foods and eat according to your constitution. Read more about diet here. Exercise & movement: Incorporate weight-bearing exercise into your daily exercise regime such as weight lifting, jogging, dancing. Posture: Realign yourself with yoga or pilates and ensure proper seating at work, home or in the car. Supplements: Calcium, vitamin D & K are some of the nutrients that build bones. Speak to your naturopathic doctor to help customize the vitamins and minerals that are right for you. Botanical medicine: Specific herbs are available that are rich in minerals (such as nettle tea infusions). Based on your individual health status, your naturopathic doctor can select herbs that detoxify heavy metals or support hormone levels during menopause when these are factors contributing to bone loss. Emotional Wellbeing: Make space for love, joy, enthusiasm and fulfilment, and move stagnant emotions through journaling, creative expression or Ayurvedic massage. The naturopathic approach differs from the conventional approach in that we identify and address the root cause of the concern, rather than treating the symptom. The extent to which you are mineral deficient depends on factors such as: diet, smoking, stress, body weight, inactivity, medications, genetics and environment. Identifying these factors and addressing how they impact you individually is the key to health. There are certain considerations for each individual that we take into account. During menopause, estrogen levels decline which further accelerates bone loss, therefore naturopathic treatments will address bone loss by supporting hormonal balance. Additionally, if you are taking medications such as corticosteroids and diuretics, naturopathic treatments will aim to reduce mineral loss commonly associated with these medications. Chronic antibiotic or antacid use can impact digestion and absorption of nutrients needed for bone health. A naturopathic doctor can assess the state of your digestion, and can help you offset the side effects of medications while taking into consideration additional health conditions you may have. You may be exercising regularly, eating well, and taking a calcium supplement, however you could still be losing bone mass unknowingly. Your diet should be aligned to your constitution – individuals with a constitution predominant in Vata are more prone to mineral deficiency. Your naturopathic doctor can select the supplements that have the nutrients you need while optimizing your digestion and assimilation to ensure you are absorbing what you are taking. Sustaining bone health and preventing mineral deficiency requires an understanding of your whole picture to develop a tailored treatment plan by your naturopathic doctor so that you can enjoy good health as you age. If you are concerned about mineral deficiency and would like to have qualified care that is customized to you, please contact Naturopathic Foundations at 905-940-2727 or email lathparia@naturopathicfoundations.ca to book an appointment with Dr. Leena Athparia ND.